This competition is now closed. The winner was Chiara Falls, from Guildford UK, with her essay entitled Discovering links between maths and architecture. Chiara was presented with her prize at the BSHM meeting at Birkbeck, University of London on 21 May 2016. 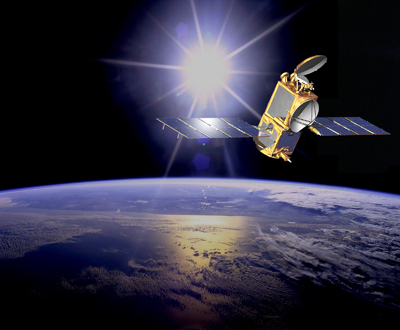 Jason 2, one of the satellites orbiting the Earth, would be impossible without mathematics. This competition invites you to explore to history of the mathematics that shapes our modern world. Image courtesy NASA. From computer games to smart phones, and from the weather forecast to our solar system — mathematics is essential in describing and understanding the world around us. It has been part of human culture for millennia. This competition, launched by the British Society for the History of Mathematics (working with Plus), is your chance to explore how mathematics has developed and achieved its status. Where does mathematics come from? How do we know it's true? What is the contribution of a particular person or culture? The British Society for the History of Mathematics (BSHM) believes that answers to questions like these form an important part of understanding mathematics today. The competition is open to all young people aged 11 to 19 who are in secondary education. It invites them to explore these questions and communicate their findings to a wide audience, consisting of people from age 16 upwards. A number of cash prizes will be awarded, depending upon the quality and the number of entries. The maximum prize will be £100. Winners will be announced at the BSHM meeting at Birkbeck College on 21 May 2016. The deadline for entries is Thursday 24 March 2016. You can find the rules, guidelines and entry form on the BSHM website. Can people from all over the world participate or is this applicable for people only in England? What time is the deadline for the competition on the 24th March.